San Francisco is a great city to see from two wheels. In fact, a growing number of urban commuters are switching from automobiles to motorcycles for a variety of reasons: fuel economy, sticker price, parking availability, fun! But there are more things to do and see on your motorcycle in San Francisco than your daily route to work. So break free from that routine and find something amazing! Below you’ll find some of the best motorcycle rides in the San Francisco Bay Area as recommended by motorcycle riders from San Francisco. This iconic restaurant is literally hog heaven. On busy weekends you can expect to find 100 or so bikes in the parking lot and riders from all over California and the West Coast enjoying the comradery and American favorites like gut-busting burgers and bar-b-q. It’s just a short hike up Highway 280 into Woodside. Alice’s sits at the intersection of Skyline Boulevard and Highway 84. Plus, if you’re a total gear head, you can usually spot some excellent antique and classic muscle cars like Shelby’s mixed in with a handful of modern exotics like Lamborghinis. This is a quick trip for avid motorcyclists living in the San Jose area. Want a scenic ride? Try taking 130 to Mt. Hamilton and on to Patterson. Follow through and you’ll end up at The Junction Restaurant (a great place to stop for a bite). When it’s time to hit the road again, take the Mines Road into Livermore. Once some of California’s most active grazing lands and now home to some top-tier scientific research facilities, this small town has a long history tied intimately in with the Gold Rush that washed over California at the turn of the century. Visitors can still the impact that glittering madness made on the town. The Marin Headlands offer motorcyclists eye-popping views of the Pacific Ocean below rugged cliffs and bright blue sky. Much of the land is protected within the Golden Gate Recreational Park, featuring plenty of opportunities for picnics, sightseeing, and photography. Conzelman Road is just 5 miles long but the route it takes offers amazing shots of The Golden Gate Bridge and San Francisco beyond all the way up to Point Bonita. Cross over to the other side of The Bay (or into your backyard if you are an Oakland motorcyclist) an experience some of the curviest roads you’ll ever come across woven through some of the most breath-taking scenery, sweeping vistas, and big hills to climb. Choose highway 160 through the Sacramento River Delta and Rio Vista’s Foster’s Bighorn (a kitschy restaurant with wonderful taxidermy). Try the rolling green hills of Highway 24 from Berkley through Lafayette to Bear Creek Road and the Briones Regional Park. Test your bike’s mettle on the 3,800 foot climb up Mount Diablo. The East Bay offers a wide range of rides to suit any experience level. Break free from the daily grind and take some time to explore the natural and man-made wonders waiting right in your backyard. Plan a daytrip or even a long weekend ride and hit the highway—you’ll see things you’ve never seen! But beware of distracted drivers. It’s easy for automobile operators to overlook motorcycle riders—especially when they’re sightseeing too. 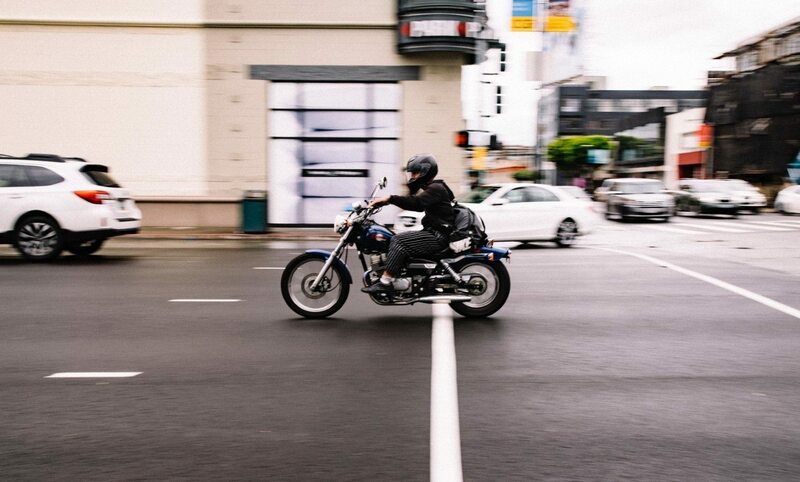 So ride safely but take comfort in the fact that if you are involved in a motorcycle accident in San Francisco, we’re here to help. The experienced motorcycle accident lawyer team at Sally Morin Personal Injury Lawyers can get your life back on track after a crash and help you get the compensation you deserve. Call (415) 413-0033 today or submit your case online to learn how we can help you.